Every year at around about this time I get a sense of conflict. I'm not one driven by patriotism. Indeed I'm often suspicious of it. And this applies especially to my views of F1, wherein nationalities have never mattered a single jot to me. 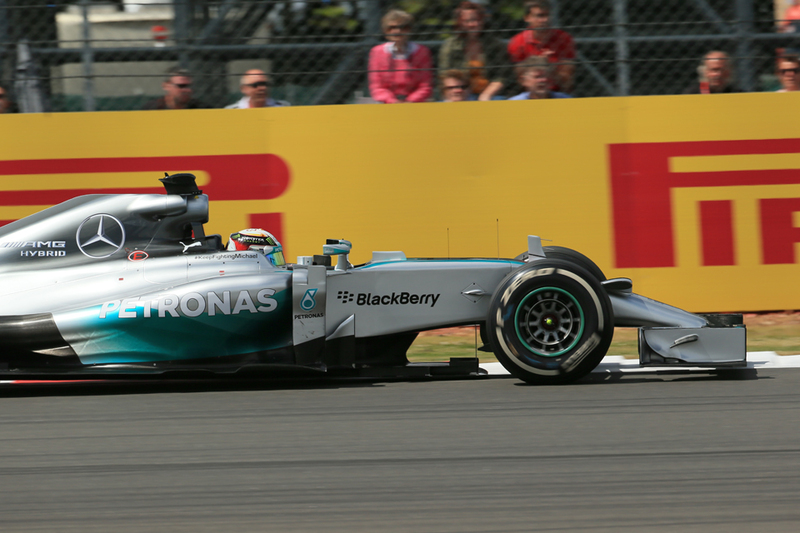 But even I can't credibly deny that there is something special about the British Grand Prix. 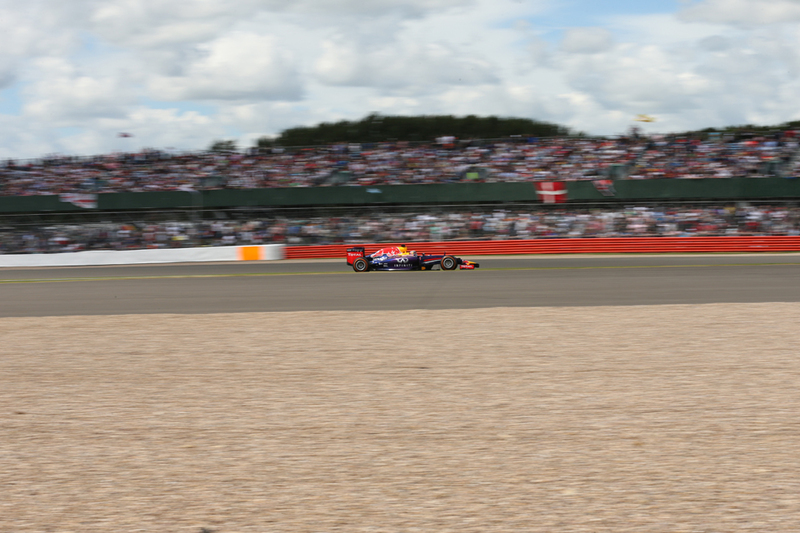 Its appeal, certainly that of its hardy venue of Silverstone, isn't universal either. 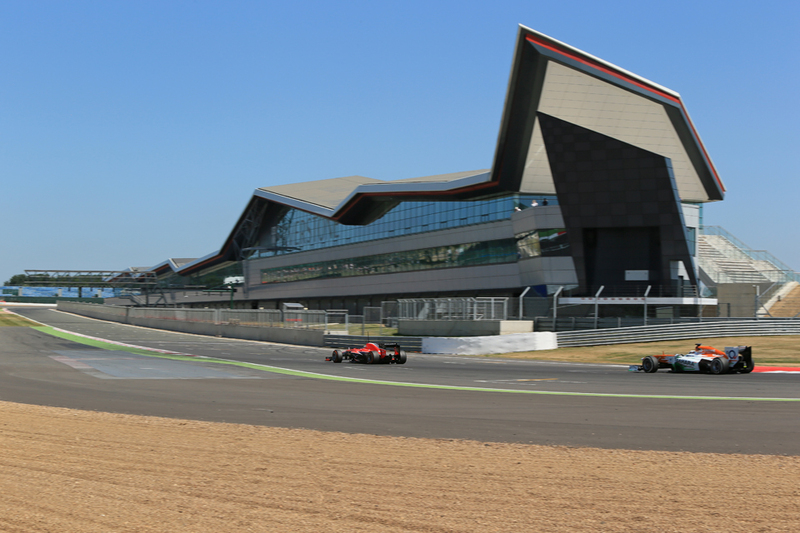 In contrast to many great circuits which seem to fit quintessentially into their surroundings, Silverstone even all these decades on retains a feel of being rather imposed on a barren, windswept wartime airfield plain. Further it lacks the postcard scenery and undulations of Spa, the cooked intensity of Monza and certainly Monaco's glamour. The late Christopher Hilton once noted, possibly harshly, that "people get emotional at Silverstone but not emotional about Silverstone. Even when they're trying to save it, they're doing it because they want the British Grand Prix to survive, not because emotion dictates Silverstone." Yet still few refute the notion that it belongs right alongside those events mentioned that seem part of F1 furniture, perhaps even deserving to be prioritised ahead of them. And this is for a number of reasons. Chief among these is that it is F1's home town gig. 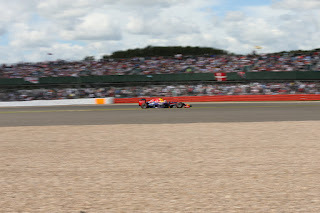 Eight of the 11 F1 teams are based in Britain, and seven of them are based within a few miles of the Silverstone track, as are a myriad of companies that supply them in this sport's equivalent of silicon valley. Most of their staff will be present at the circuit this weekend. It's also because it was at Silverstone that it all started for F1 back in 1950. And despite inevitable and sometimes extensive changes in the meantime it retains much of its old character: flowing, rapid and with many long and mighty turns that challenge and entice the drivers. And in an age wherein such core support has had its back turned on it by the F1 itinerary, to be replaced more and more by rounds that owe more to the host Government's desire to 'brand' the country and boost its tourism rather than to local motorsport passion, Silverstone's crowds remain both numerous and with an inimitable organic feel. It is almost alone on the entire itinerary in that several tens of thousands can be expect to come through the door even for Friday practice. And while of course we can point at exceptions, the public here also has a good record of respecting all-comers rather than just the local favourites. Eddie Cheever, in the dark but recent days when the race looked to be under threat, summed it all up by stating "not having a British Grand Prix is like the Pope not going to the Vatican". 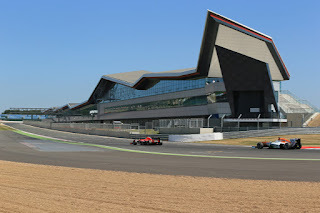 Thankfully this absurd threat to the race's future has since receded; the contract to keep the race at Silverstone all the way to 2027 is in place and in recent years the venue has undergone its most extensive revision since its early days. A significant detour has been added and in 2011 the start line was moved to between Club and Abbey, in deference to the new 'wing' pit and paddock complex there. The move added to the venue's slight curiosity as it leant it a strange, out of context feel, almost like the paddock and the fraternity therein had been picked up and moved away from where everyone else is, especially as most of the infrastructure around the 'wing' while promised has yet to arrive (there even is a shuttle bus to cart the paddock folk back and forth from the other side of the track all weekend). But it did mean that no longer can Bernie claim that Silverstone is the sport's straggler facility. He's now found a few other classic venues to threaten instead at least for the next while. 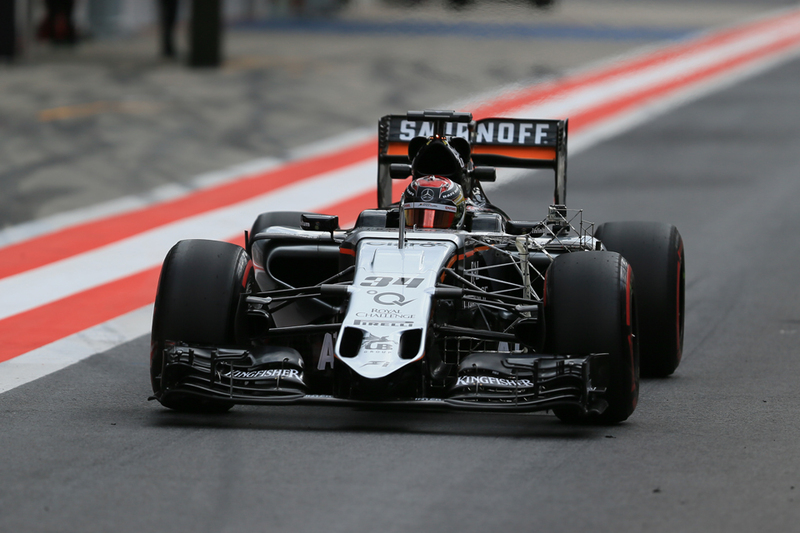 Long, fast corners will mean a very different challenge from those of the last few stop-offs of Monaco, Canada and Austria. And unlike the last two Silverstone is not really a point and squirt sort of layout on which the Mercedes-powered machines can be counted upon to make hay. We thought for a time that perhaps the legendary British summer weather could throw a much-needed spanner into the works, After all, for much of this year summer hadn't really happened on these shores and it was the same rain - combined with the vast expanse of the track which was wetter in some parts than in others - that bumped Lewis Hamilton down from a pole that looked his by right to a sixth place starting slot in the final blink of qualifying here last year. But right on cue summer has happened in recent days and latest forecasts suggest not much rain will be around this weekend. So that leaves the usual Lewis vs. Nico scrap, but of course that might just have taken on a new bent in recent times. Nico Rosberg triumphed in Austria of course, and while this wasn't a new thing that he did it with no significant impediments for Lewis, self-inflicted or otherwise, arguably was. Afterwards too the German spoke of adding recently a missing piece of race craft. This weekend therefore will put this to the test. Will it all revert to type with Lewis reclaiming control of the title (and intra-Merc) battle or has Nico indeed found something? There will be few venues that will test the theory more sternly, as Lewis appears to have inherited Nigel Mansell's habit of finding extra resolve for his home race. He of course won here last year from his humble starting slot, and may even have done so without Nico's gearbox failure which halted him, while his 2013 drive through the field to fourth after an early puncture possibly was the drive of anyone of all of that season. Then we have him clinging to Mark Webber's coat tails in 2012, and of course his 2008 win here which was one even of his finest. Strategy may throw in the otherwise absent spanner however, as while most thought at the start of last year's race that it'd be two-stoppers for everyone many discovered during the race that a one-stopper was doable due to medium and hard compounds that ran all day and had little between them on the stopwatch. Lewis indeed likely would have taken that avenue to victory had Nico's mechanical stoppage not taken the necessity away. It is the same medium and hard compounds available this time. Set-up can be tricky here too given as mentioned it's a sort of layout not really encountered much on the F1 calendar these days. It also shows up aerodynamic instabilities rather ruthlessly as well as can give bum steers on the tyres (see last year). That rain isn't likely to disrupt practice running will help a little bit. It is a high fuel consumption track also, so the dreaded 'lift and coast' is likely to be heard if there is not a safety car period, and this characteristic too will further scrutinise the cars' energy recovery. The rest likely will be fighting for best of the rest behind the Merc two. Ferrari of course will start this battle as the favourite but Williams has in the last two rounds at least been close enough to take advantage when the Italian team erred, and Valtteri Bottas's race here 12 months ago to second from starting 14th was astonishing. Force India is bringing an updated car to its home race and will be another worth watching, particularly as that team is another that has been in good form lately. None of this will likely perturb Mercedes though, which as usual should exist in a very separate battle out ahead. Just as well we have the comforts of home to compensate.